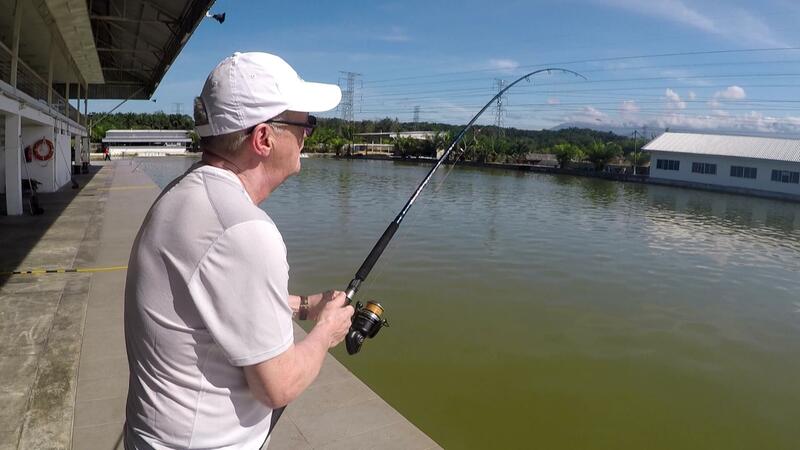 We had a short outing today with John and Robert at the Exotic Fishing Pond, Behrang. 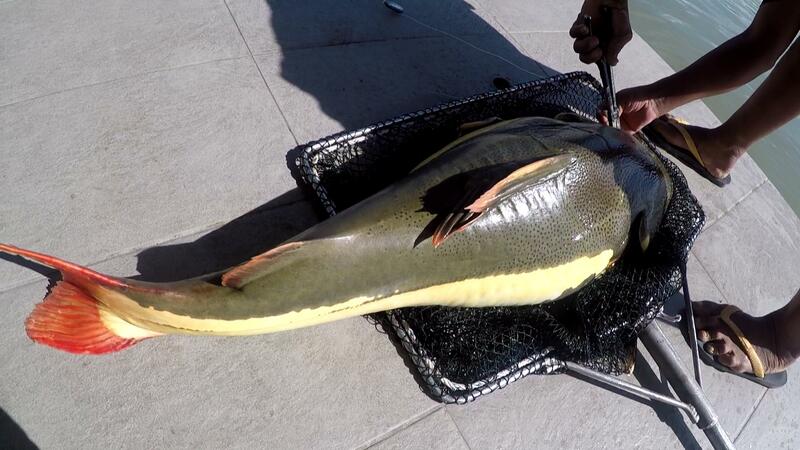 It’s a busy weekend for Fishyology charter and most probably due to the long weekend. Its public holiday on Monday, Thaipusam is a key Hindu ceremony that is held each year during the full moon in the tenth month of the Hindu calendar – falling from mid-January to mid-February in the Gregorian calendar. It is marked in Malaysia by a public holiday. So wishing all you guys a great weekend! We set the trip just days before today. 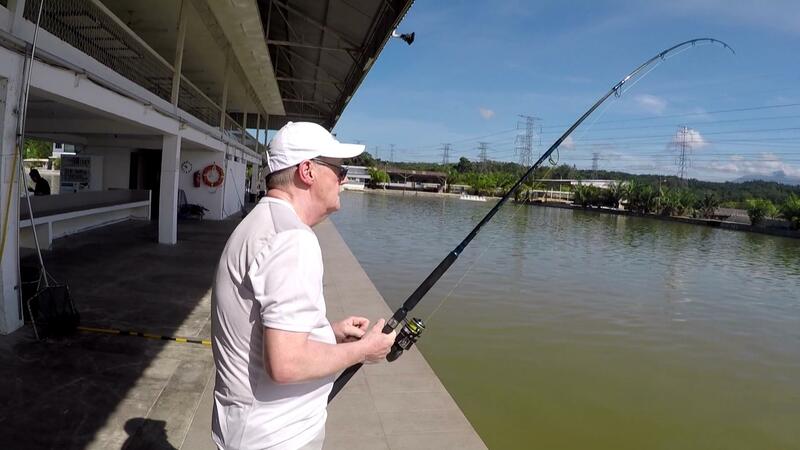 Previously it was supposed to be an outing in Port Dickson, but since all the boat is full, we switched our attention to a freshwater fishing pond located here in Behrang. Behrang town is located in the state of Perak, off the federal road from Kuala Lumpur to Ipoh, Perak. Behrang was developing due to the rubber plantation and then replaced with oil palm through Felda Ulu Behrang. It’s an old town situated along the state road that heads up all the way to Penang. 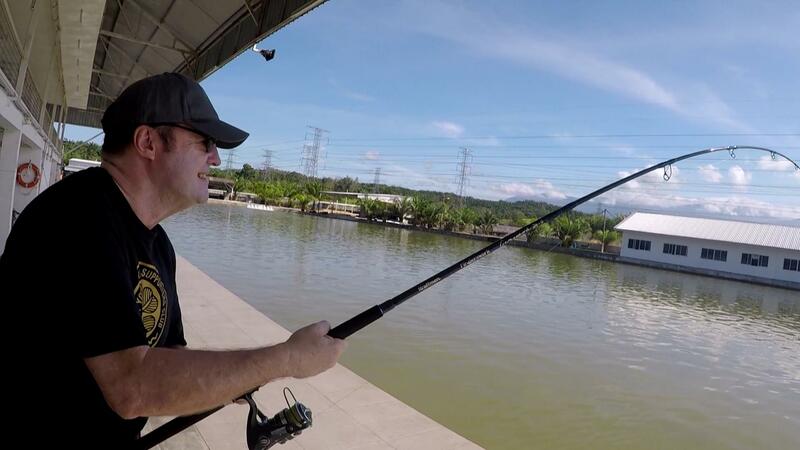 Right after fishing, John and Robert were planning to spend the night here exploring the region all the way until Tanjung Malim. Back to our fishing, it didn’t took long before we land our first for both John and Robert. Amazonian Catfish to start the day! Kraffmen Component Popping Rod is the perfect fit for this excursion. Powerful enough to stop the fish! The only bait that we use for the day is cut catfish. Cast close to the outer wall as the fish would stay close underneath the concrete slab. We keep on hitting at the right spot and soon bite after bite came along. 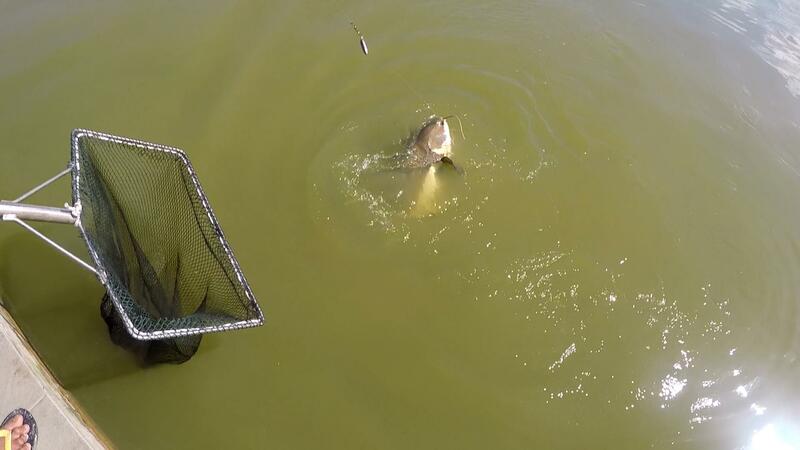 Dominating the right-hand side of the fishing pond. 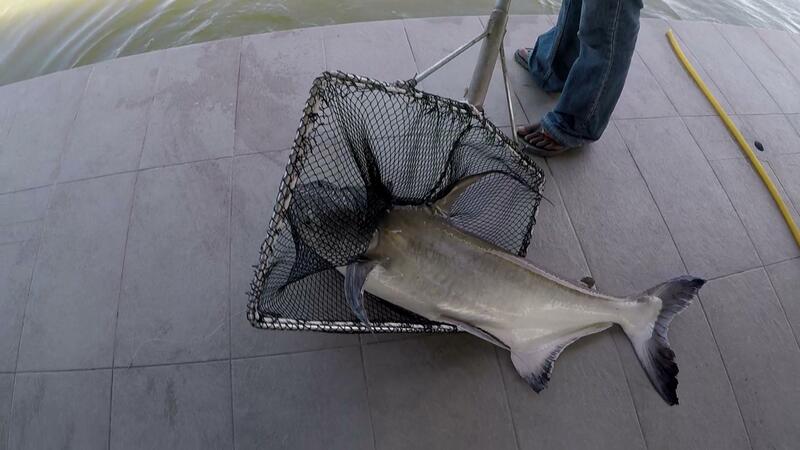 We manage to land 12 fish covering 3 different species, The Amazonian Catfish, Asian Redtail Catfish and Chao Praya Catfish. We could have landed more but somehow the line keeps on breaking today and we experience some of the fishing leaders were cleanly severed. I’m guessing it must have come from the Pacu. Overall we planned for a 6 hours outing and they decided to end the day early. John trying his best taming the game fish stocked here! 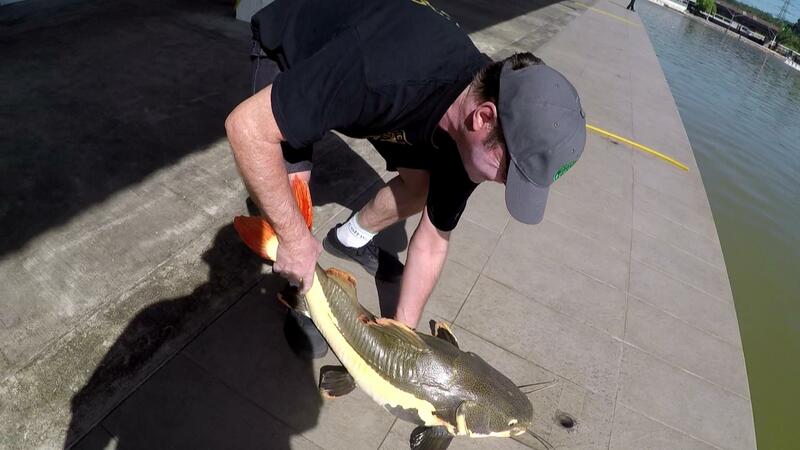 After prolong and countless fights, its just hard to hold the fish for a photo! Robert was an experience angler from Scotland, he used to handle long coastal fishing rod. 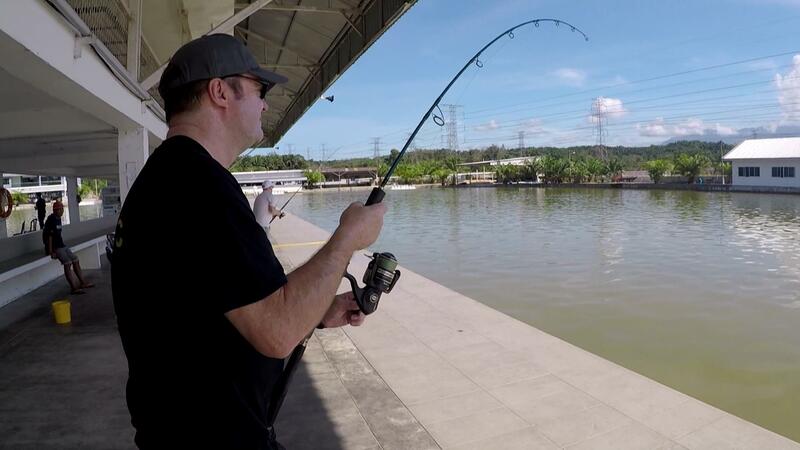 Last trip with Fanie Venter produced a much stellar result with close to 16 fish in total and if I can remember 3 Chao Praya Catfish. 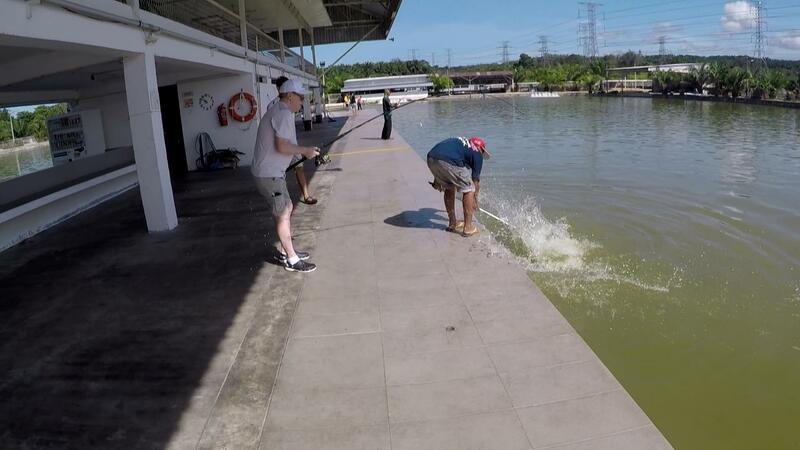 John manages to catch the fish of the day after spending more than 10 minutes taming this Chao Praya Catfish. Amazon is a good fighter but Chao Praya fights harder. By the time we clocked at 12.00 afternoon, we were the only group at the pond. It’s that feeling that you own the place to your own fishing outing. 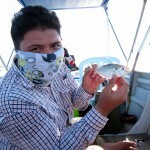 Overall it was a good fishing outing and next round will be planning to go to Sembilan Island with this guys. John longest fight of the day! Yielded him the catch of the day! Amazonas not giving up! Splashes the guy with its big tail! Anyway, its a good start to 2019. I’m feeling this year is going to be a great year of fishing. We already had one great start Beng-Belum Tour with Takahiro. Stay tuned for that report. I wish all my reader Happy New Year and may 2019 bring the best of you!